【Standing size】 L17.7 x W17.7 x H68.9 inch. The regular size is suitable for all families or offices. 【Solid construction】4 prong legs add balance and stability to the coat rack stand and ensuring it won’t tumble when apparel is hung. 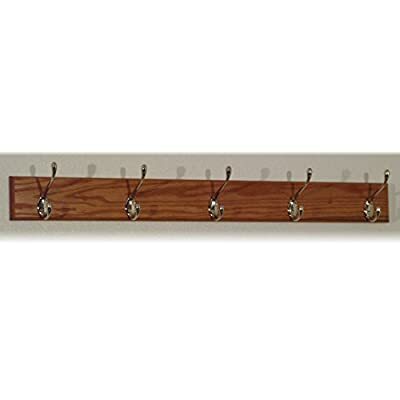 8 convenient hooks on the modern coat rack allow users to DIY assemble different length and number of layers, easily hang garments and accessories. 【Dimensions】: 15L * 15W * 68.9H inch (38L * 38W * 175H cm), shipping weights about 22.1 lbs (10kg). 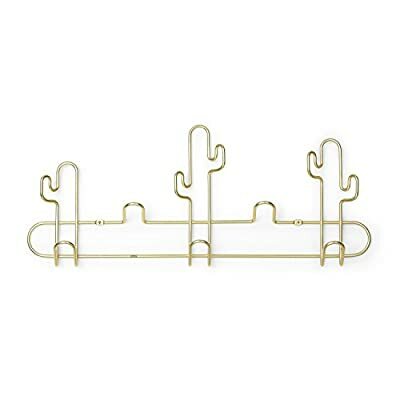 【High Quality Healthy Material】: This coat racks organizer made from solid wood and environmentally friendly lacquer,waterproof, anti-corrosion, non-toxic, green, healthy materials, and trapezoidal structure, which ensures stability and durability. 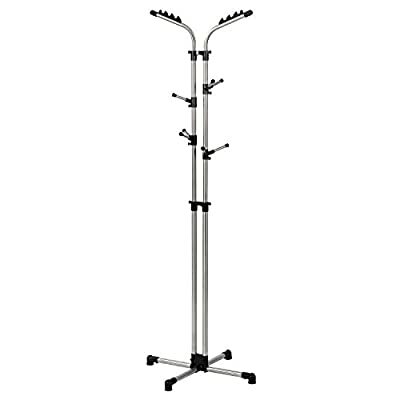 【Meet Your Daily Needs】: This coat rack is very easy to install. You can hanging your garment, hat, handbag, purse and so on. And allows you to organize your daily wear clothes very well and keep your home or office very clean and tidy. STABLE AND DURABLE COAT AND HAT STAND:Simple and solid concept.Made of powder-coated metal tubes and diameter 11.41 inches MDF circle board,this coat hat rack is more durable and sturdy while using.The powder-coated metal tubes do not rust or corrode with normal use.And the tubes have been strengthened to 38mm/1.49inches,enabling this coat stand easily support winter jackets and loading more capacity. 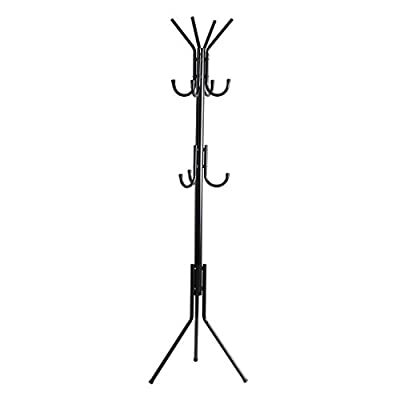 DECORATIVE AND FUNCTIONAL METAL COAT HANGER STAND:Practical and at the same time can be a good decoration at home.Ample storage space,totally 3 main branches with 9 hooks ,this coat hat standing hanger is a perfect storage solution for coats,handbags,scarves,hockey gear,motorcycle helmets,jackets,gloves and more.The bottom circle shelf can store drawer units ,bins,toys and flowerpot as you please. MODERN LOOKING HAT DISPLAY RACK WITH ARCHITECTURAL DESIGN AND WORKMANSHIP:Aesthetically appealing to be a decorative piece and functional enough to organize your clothes,hats and more.The trigonometrical legs well support this coat rack firmly even when you hang heavy bags and winter clothes.Each hook can well bear 2kgs(4.4lbs).Sturdy enough to hold up 40.0lbgs.And the end hook caps perfectly protect your clothing and hats.Item weight:6.6 lbs/3.01KGS. Minimalist Coat Rack: Hang one or more of these brackets on the empty wall space next to your door and organize your welcoming space with ease. 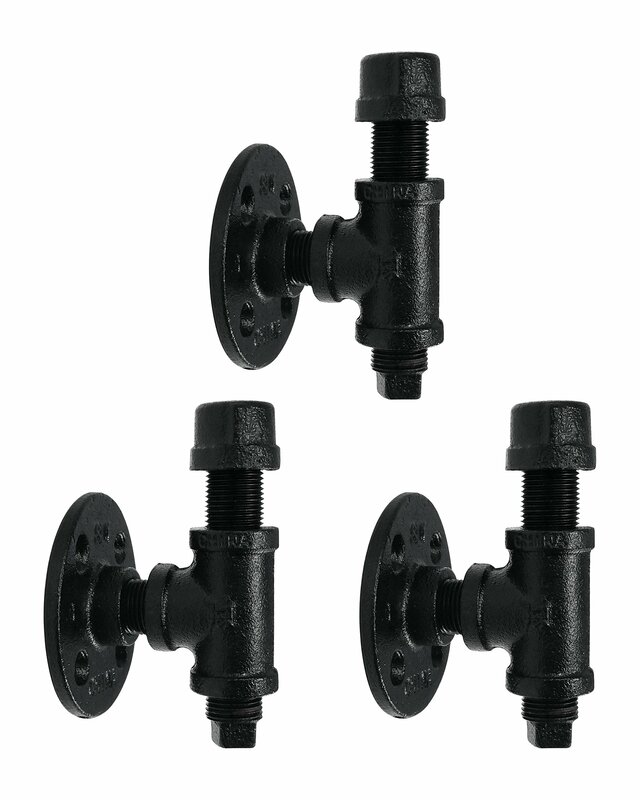 Each bracket is 5 ½ inches and easy to install on the wall with mounting screws and anchors included in the packaging. Great for DIY Projects: With this set of 2 bundle you can do a lot more than just hang your coats. Use both for creating your own wall shelf, or hang a rail through the hooks to expand your storage space. Beautify Your Garden: These hanging brackets are perfect for utilizing in your patio, balcony or backyard. Hang your lanterns, flower baskets, bird feeders and wind chimes to turn your dull backyard into a botanical garden. 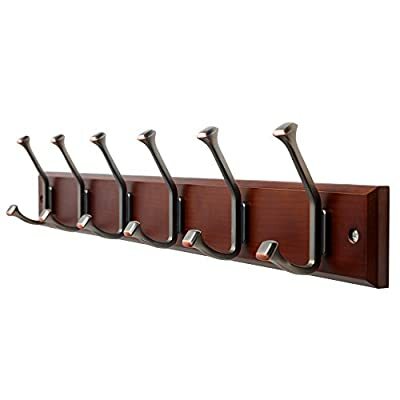 Stylish and Sturdy Hanger: The well-made coat rack has 6 Dual hooks, and it’s perfect storage and organizing solution for your coats, hats, umbrellas, handbags, keys in any entryway or foyer, even in cabinet. 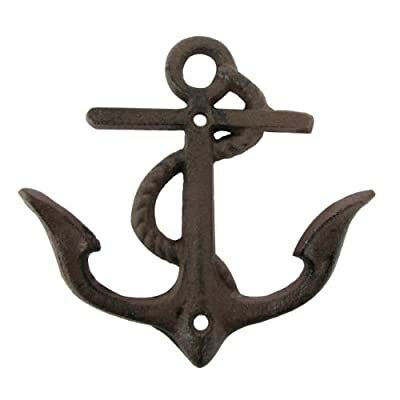 New Design Pilltop hooks: The new style hooks are crafted with high standard zinc with classical oil rubbed bronze finished, anti-fading and rust-proof, providing a warm touch and a decorative looking. 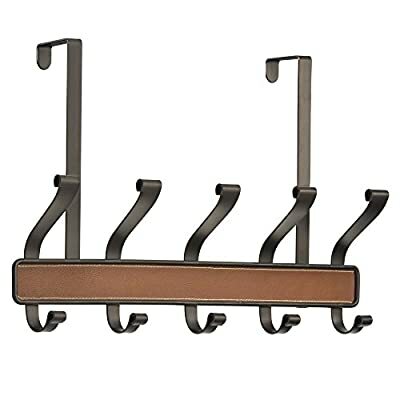 Compact and Space- saving Accessory Hanger – Product Size: 23.62”L x 2.75″W (60 x 7 cm). 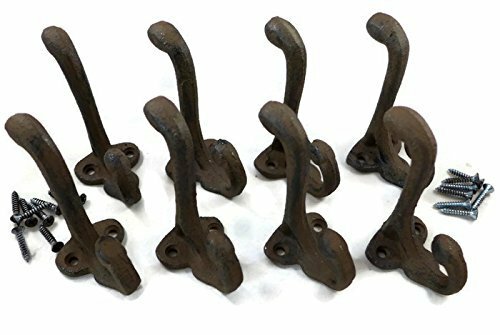 Set of 8 Rustic Cast Iron Hooks. Rustic brown color with black tint or highlights. Each measures 3-1/4 inches long. 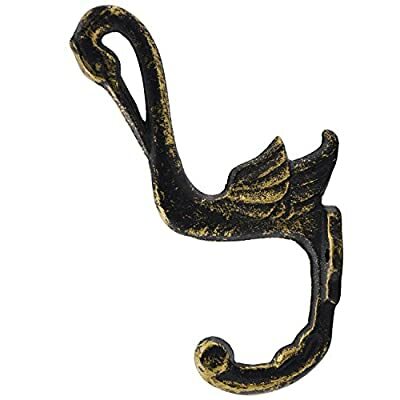 Size:5*0.8 inches;Made of small tree branches as Adhesive Hooks Clothes Coat Hook,Key Holder Hook,Curtain Rod Holder,Hat Holder,Bag Hanger Hook,Home Decoration. 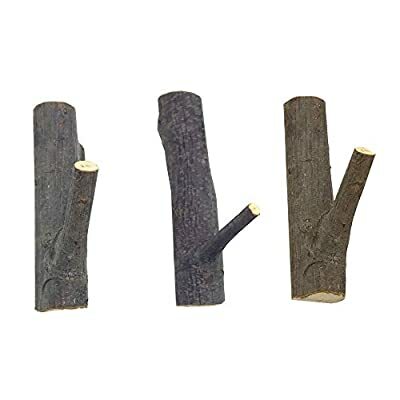 Both useful and unique:100% wooden material,all wood holders just a little different which gives them character and makes them unique.each package includes three hooks. Ultra Strong 3M pretaped adhesive bear weight up to 106 oz for each rack,The hook is made up of the imported 3M adhesive,you do not need to worry about when it will be off glue. 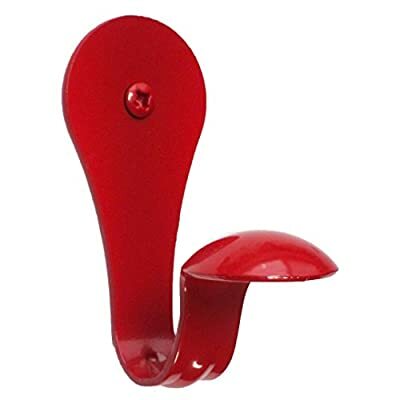 TOP-TIER: the tip of the top hooks provides some small grooves, perfect for hanging clothes hangers and caps, hats, scarves. 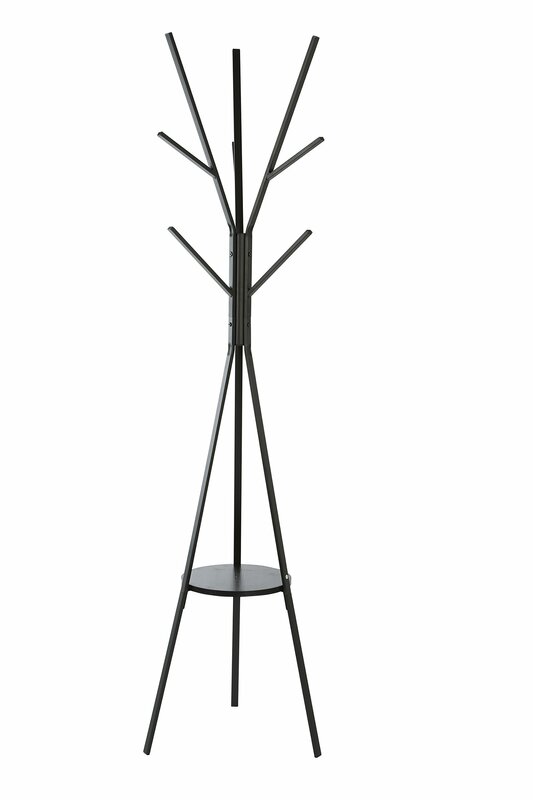 MODERN & FUNCTIONAL: Sticks Multi Hook Coat Rack is a unique wall mountable coat rack, hat rack, and clothing rack that provides 5 flip-down coat hooks and ample hanging space for your entryway, bedroom, office or dorm room. BRING THE MODERN INDUSTRIAL LOOK INTO YOUR HOME with Pipe Décor. 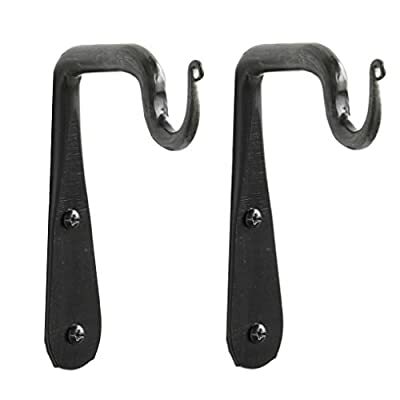 This complete single hook kit adds a high quality, handmade aesthetic to any bathroom, kitchen or entryway. Hook is mounted independently and can be arranged to suit your space and use. Get creative and treat your visitors to your sense of style and attention to detail. HOOK IS SEALED WITH ELECTROPLATING AND READY TO INSTALL OUT OF THE BOX. Electroplated finish means no mess of grease or oil to deal with before assembly. No need to paint either. Mounting hardware included of course. Open the box and install with easy to follow directions. If you want the industrial look without the industrial cleanup, this is the product for you. DELIGHT GUESTS AND BUILD FUNCTIONAL CONTEMPORARY FLAIR into any room. Excellent for hanging robes, coats, hats and other outerwear. Constructed from extremely sturdy and durable material. Suitable to hang all types of clothes. Quickly update the feel of your hallway, bedroom, foyer, closet, lobby, waiting room, entrance or front door with furnishings that start conversations. Strong and versatile do it yourself design. 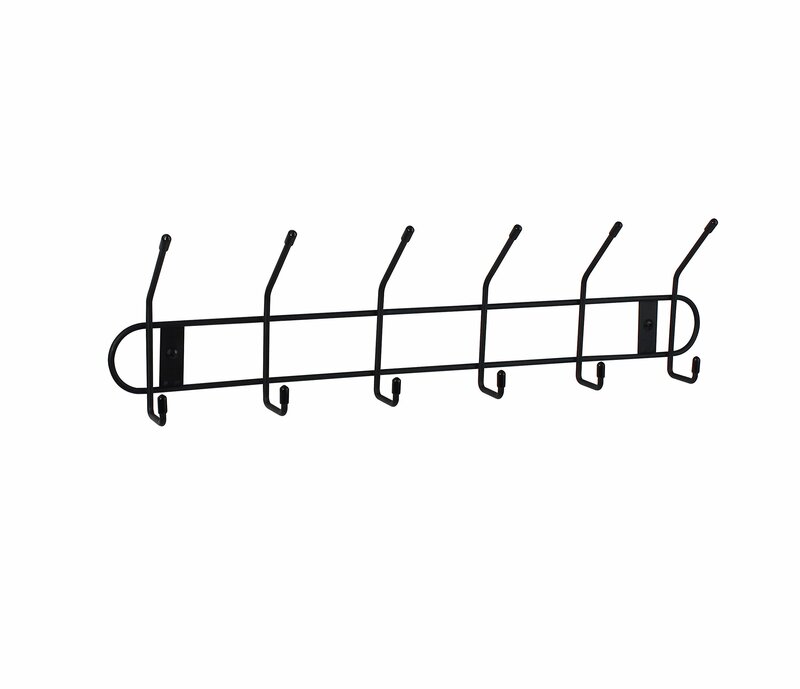 EXTRA STORAGE: Over door rack has 5 double hooks – perfect for coats, clothes, towels or purses. 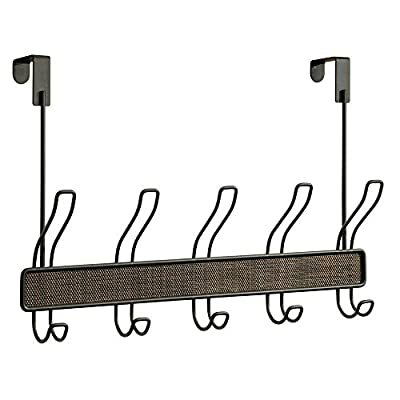 CONTEMPORARY DESIGN: Steel organizer rack with modern bronze finish and woven plastic accents. 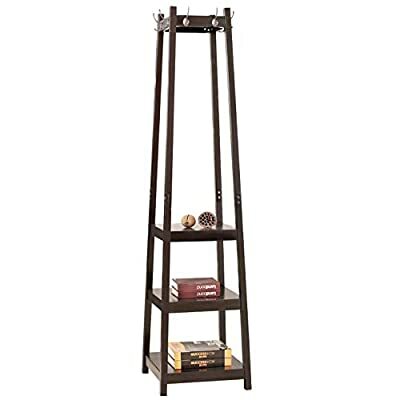 EASY TO INSTALL: Storage rack hangs over standard interior doors up to 1.75″ – no tools or hardware. 100% WOODEN – NOT particle board, NOT MDF. 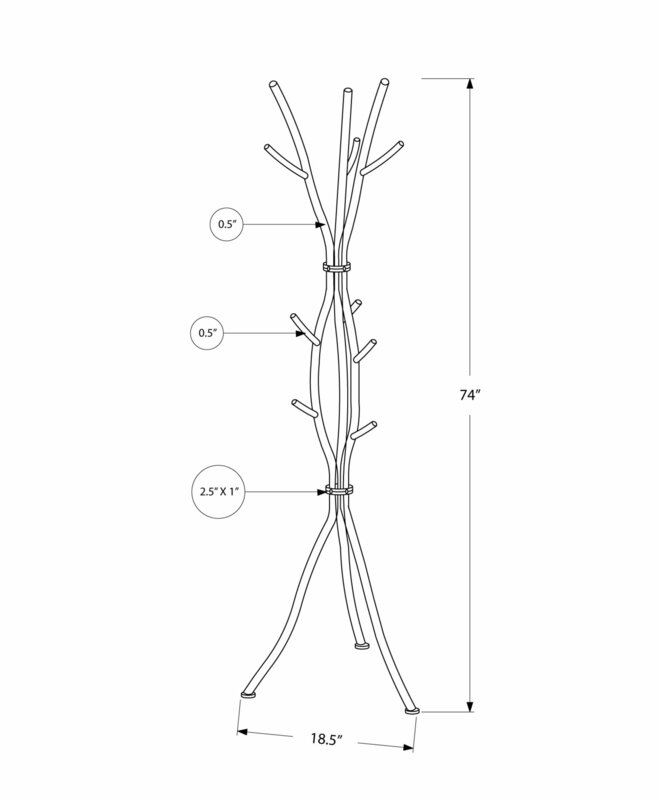 The wall mounted coat rack are manufactured from solid, natural wood (ash-tree). 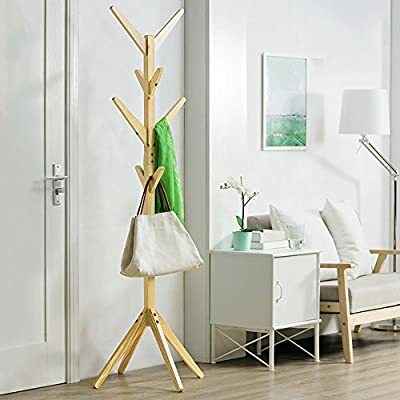 MULTIFUNCTIONAL USE – The wood wall coat rack perfectly organizes your belongings: clothes, coats, towels, hats and belts. 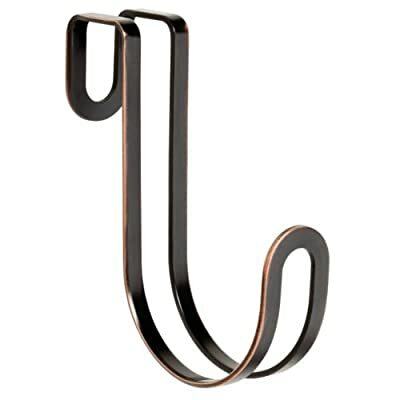 UNIVERSAL – The wood coat rack wall mounted can be used in a hallway, bedroom, bathroom, kitchen, or nursery.